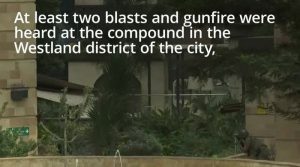 Explosions and gunfire ripped through a hotel/business complex in Nairobi on Tuesday (Jan. 15), in an attack claimed by the al-Qaeda-linked Somali terrorist group al-Shabaab. One British citizen is reportedly among the dead. 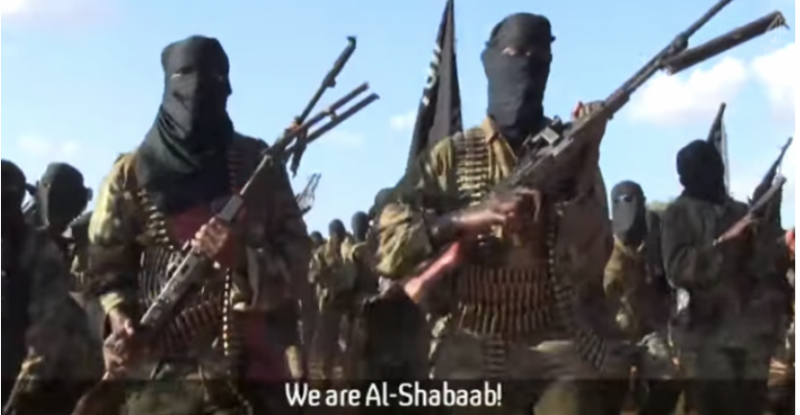 Although based in Somalia, Al Shabaab has carried out terror attacks, often in conjunction with ISIS, in other parts of the African continent. In Kenya, Muslims comprise only 11% of the population, yet are behind a majority of the terror attacks there. QUARTZ Africa The explosion at the DusitD2 compound, which includes a 101-room hotel, restaurant and several office buildings housing local and international companies, was heard from AFP’s bureau some five kilometres (three miles) away. Police confirmed the assault happened after 3 pm local time in 14 Riverside, which houses offices, retail outlets, and restaurants along with the upscale DusitD2 hotel. 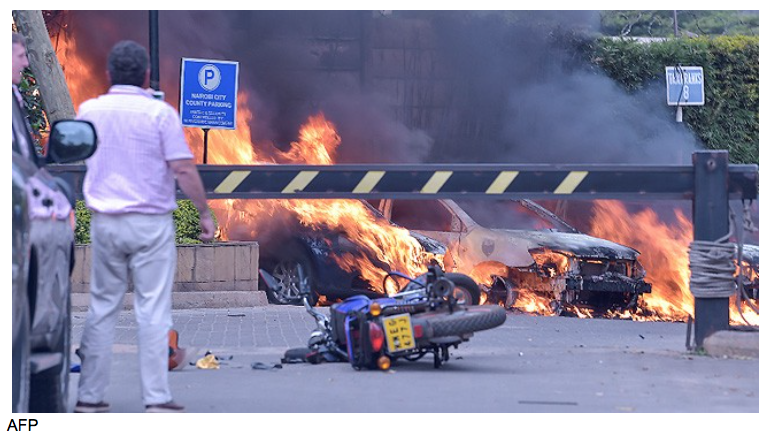 The coordinated attack first started at the I&M Bank, followed by an explosion that targeted three vehicles in the parking lot, trailed by a suicide explosion in the foyer of Dusit hotel where a number of guests suffered injuries. Several wounded victims were also removed from the premises with emergency services including the Kenya Red Cross arriving at the scene to provide first aid. One person inside the complex who texted Quartz Africa said they had locked the doors to their offices and “barricaded” themselves with two colleagues in the boardroom. They also said they didn’t know what was going on and how or if they will be evacuated. BBC The attack began at about 15:00 local time (12:00 GMT) when four gunmen threw bombs at vehicles in the car park before entering the lobby, where one blew himself up, police say. 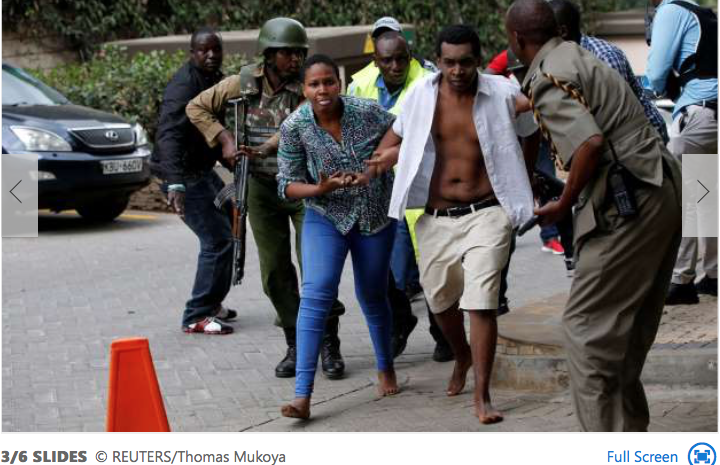 Every person escaping the Dusit complex has the same story – heavily armed men firing indiscriminately, using bombs and automatic rifles to kill. Most were too shaken to talk. They were all relieved to have escaped. They were coming out in small groups, many hours after the first explosions. The blasts could be heard across the city. I was in my flat round the corner when they happened, followed by the unmistakable sound of gunfire. The pictures that have been coming from inside are truly horrific. Ordinary people going about their business, murdered as they had lunch or did their jobs. 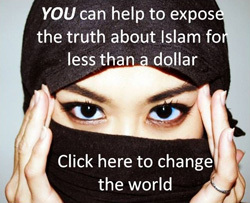 Al Shabaab supports the Wahhabi version of Islam and imposes strict Sharia laws in the areas it controls. They stone women accused of adultery and cut off the hands of thieves. They get funding from other terrorist groups, state sponsors (Eritrea, Iran, Saudi Arabia, Qatar, Syria and Yemen), and from crimes such as piracy, kidnapping and extortion of local businesses and farmers. According to US-based Security Council Report, the group earns millions of pounds a year through an illicit trade in charcoal, despite a UN ban on Somali charcoal exports. In 2013 they killed 67 people in an attack on a shopping mall in the Kenyan capital Nairobi and two years later 148 people were killed when they attacked a university in the Kenyan city of Garissa. Kenya was also targeted because of the presence of its troops in Somalia. The worst loss of life, however, was in Somalia, where twin truck bombings in October 2017 killed more than 500 people and injured more than 300. 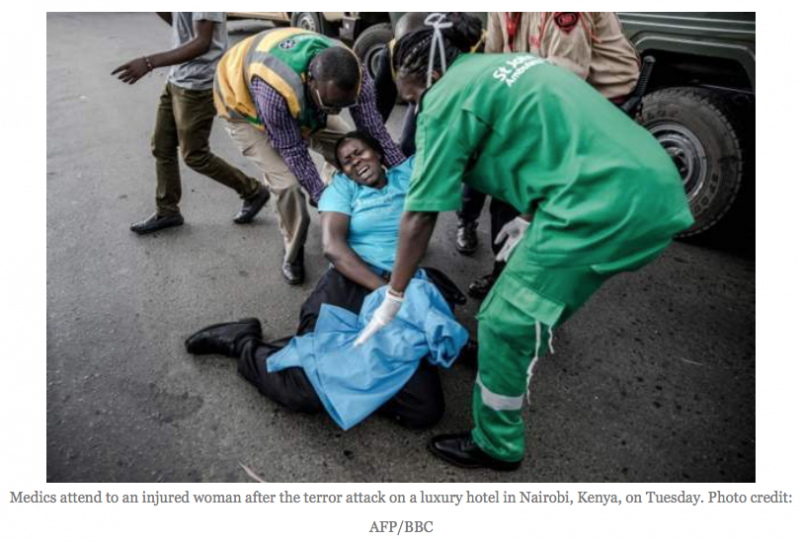 Al Shabaab did not claim to be behind this attack, but are widely suspected to have been. Al shabaab is misinterpreting islam.. the group is misguided…islam is a religion of peace…George Bush and Obama said so…(sarc.) 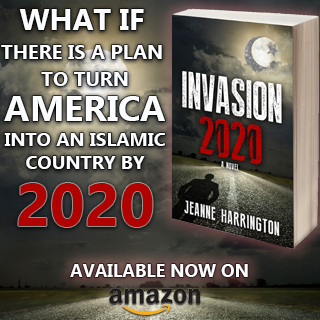 Obama said that Jihad is self improvement and we owe a lot to islam..GB & BHO would not lie to the citizens of this country, would they???? They imported thousands of these peaceful but misguided people into the US. Now, we must deal with them and not be islamophohic. Bush and Obama have security 24/7/365…Obama’s street in DC has concrete blocks to prevent unwanted cars going through and his mansion has had tall walls added around it before he and his family moved in. What we the tax paying public have to protect us from these thugs that are all over in increasing numbers???? Nothing, Zero, Nada.. I worry when I am in a public place ,in a mall, at the airport,if these nutjobs will show up and start shooting. I used to think that Africa was just a violent continent, that black people were violent. That may be true to an extent, but now I realize it is Islam causing the violence there. Africa is Islams Dar al Harb- House of War (hasn’t submitted to Islam yet). God warns in the Bible that the terrible things the EVIL ONES did to others, will be given back to them. The deeds of a man’s hands will return to him. God help our Kenyan brothers and sisters. This is one of MANY reasons why it is an Hostile ACT of TREASON by nations’ leaders against their own people to allow followers of the MILITARY-POLITICAL CONQUEST Cult of Islam into their Christian nations. 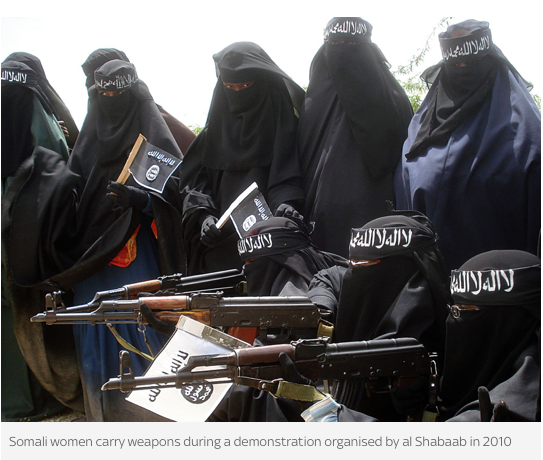 The burqa garbage bag females of the Somali Wahhabi group are eager to do jihad with AK & SKS rifles; may they go to 77 eunuchs with shark teeth ! This could also be a scene out of Sweden, Germany or France. The main difference is the colour of the victims and the palm trees blowing in the wind. The savagery is the same. Muslimes spread hatred and terror wherever they are. These innocents, who had done nothing other than be in the wrong place at the wrong time, ended up fleeing for their lives, some of them injured and leaning on others. Religion of peace strike again. Ah those beautiful Somalians at it again. The Skinnies strike again murdering the innocent. And who do we most feel sorry for in the West, especially in the US Minnesota that’s taken in thousands to help reinvigorate the economy – yep, Skinnies. There are a few in Australia. You see them shuffling around the shops in shiny brown burhkas looking exactly like shiny cockroaches. Shuffling because they’ve got so much stolen gear under their burhkas they can’t actually walk. Or maybe they can’t walk because having babies aged 9 or 10 tends to damage the old hips a bit. Or maybe its the female circumcision done with a rusty coke can. Who knows. But shuffle they do. What in the name of Jesus Christ Our Lord are these people doing in our countries? 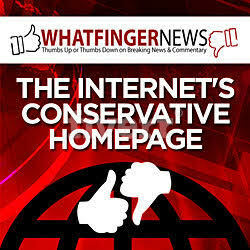 Making life hell for us, our ‘leaders’ seem to want that…..for some warped reason.